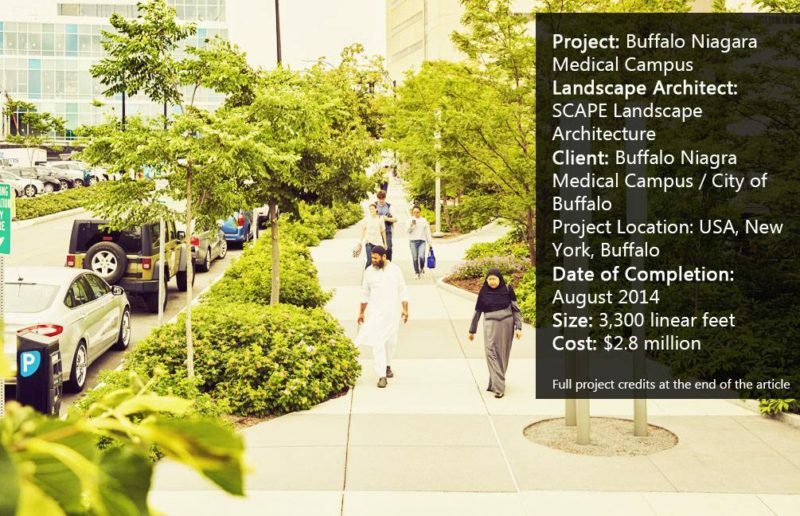 Article by Aybige Tek – Buffalo Niagara Medical Campus, by SCAPE Landscape Architecture in USA, New York, Buffalo Buffalo Niagara Medical Campus Project by SCAPE Landscape Architecture in New York is an inspiring project for many other streetscapes that may be boring. This new linear park, which has been completed in collaboration with planners and urban designers and all kinds of other related consultants, achieved a motivational result for all its users to enjoy their walk or ride. 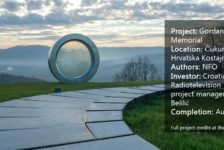 This project has provided a relaxing outdoor walking path with its many features and unique approach. Ellicott Street, surrounding the medical campus, has been renewed. What are some ways to design sidewalks of a medical campus in the city for urban design? 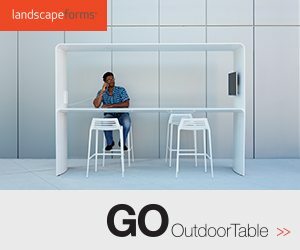 How can we make walking around campus or in campus streets more relaxing and enjoyable? Buffalo Niagara Medical Campus. Image courtesy of SCAPE, full image credits below. This design approach suits this project. 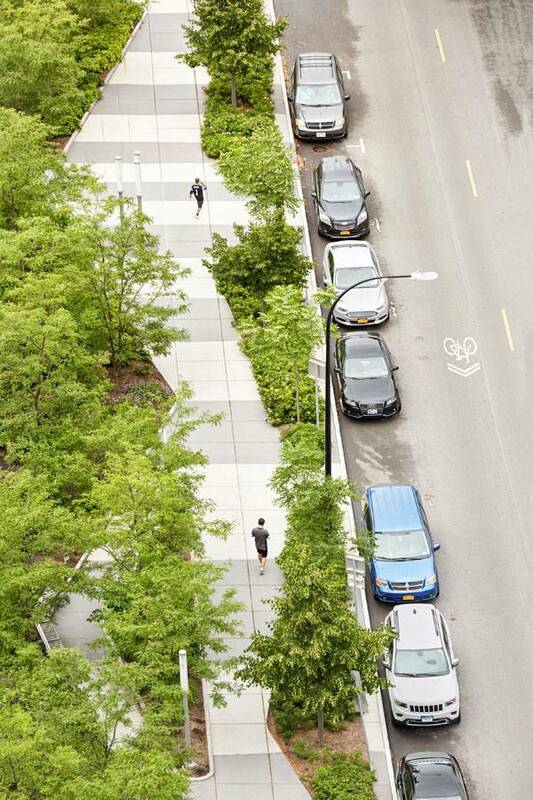 Just by creating basic small changes in an appropriate way, a linear park is created. Using sidewalks with landscape designs may look like a simple idea, however it effects a lot of daily life actions for wellbeing. The streetscape pavement has a triangular flow which is situated linearly, with green planting on both sides along the street. The landscape design is drawing a zigzag-like movement for its users and this breaks up ordinary straight-line walking. The pavement has a horizontal pattern to cut the monotonous look which the site had previously. Pavement stones and concrete are a darker gray color in between lighter tones of gray. This contrast on the floors breaks the single-color boredom on the floors. Dynamic feelings are achieved with this landscape design and that idea has continuity. How did they execute this movement in design? The trees and plants are planted in irregular, modern-art-abstract shapes. The landscape design looks like a modern art abstract blob painting. 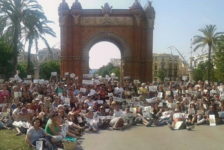 The design is succesful because passing by circular edges is easy on the eyes. Considering people walk or ride by these spaces everyday; the design is working. As Ellicott Street became Ellicot Park, it gained new sidewalks, planters, landscaping, benches and street lighting. The linear streetscape project has new sidewalks with custom streetscape elements along it. The street has been repaved and new curbs have been added. Traffic signals have been installed and striping was painted for bicyclists. A new LED street light system has been installed. After the renewal project, people, patients, employees and any person around the neighborhood can have a pleasant walk in the sidewalks. The side planting shapes create a flow which is relaxing to see. The bicyclists also see strong views when they ride by the block, because the shapes of the landscape design are almost like art, from that point of view especially. Mailboxes are installed to create life when people use them to post letters. The lighting system for the street is cruical for nights and dark winter times. New sidewalks, LED lighting, planters, unique landscaping, benches, mailboxes, patterns on the floor and bike racks have been installed. 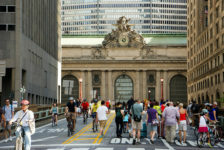 With these minor changes, many streets in cities can be renewed. Other streets can also renew their spaces with a similar design approach. Design, thinking about users, and new plantings can go a long way for better life. 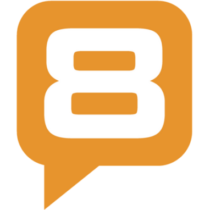 What Benefits Does the Project Offer? Patients, visitors, students, neighbors, and employees use this project. They can enjoy their walking while they work or visit. The landscape project is also important for patients’ wellbeing. 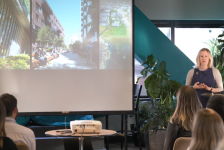 The Buffalo Niagara Medical Campus has added new jobs to the city and created a lively and energic medical life sciences campus in the heart of downtown. The project has helped in renewing the infrastructure that strengthens surrounding residential neighborhoods. The pavement plantings have brought a cooling effect when walking. These plants are also harsh-weather resilient, therefore the landscape also looks great in winter. Large areas of spaces have been made green. A rainwater capture system has been used which makes the project sustainable also. How does the Project Exceed Expectations? In this campus project, SCAPE used linear planting beds for plants. 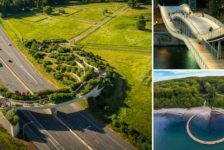 When they added new trees, they paid attention to the existing trees’ roots and where those roots ended, because this was crucial for great design and future sustainability. The vegetation, shrub layer, understory tree planting, and canopy tree planting that SCAPE has used are native and city-adapted species. Common hackberry, celtis occidentalis is one of the trees that have been planted here. The landscape architects have structured a chart of plants used in the project for each season. 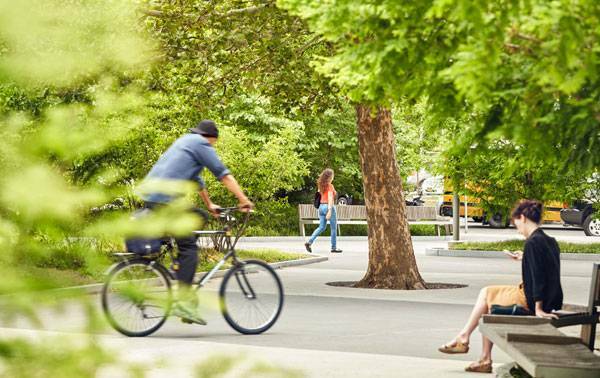 Planting includes celtis occidentalis (common hackberry) and gleditsia triacanthos (honey locust), as well as cercis (Eastern redbud) trees and landscape planting in fluid, irregular circular shapes to create a moving and dynamic space for pedestrians and bicyclists. 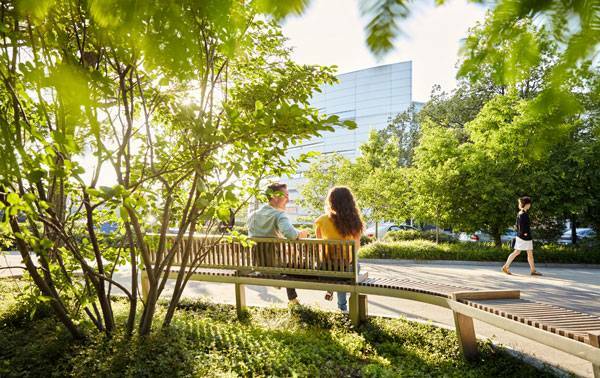 A variety of planting makes this project break out of the older “just a straight sidewalk” feeling and brings people a chance to observe the seasons, sit down, and relax, watching the different types of plants and flowers. A variety of plants have been planted such as: amelanchier canadensis (serviceberry), ilex glabra (inkberry), nandina ‘Gulf Stream’ (heavenly bamboo), metasequoia glyptostroboides (dawn redwood) which are all right choices for North America. After all is done, well, New York has gained a green infrastructure institution with its plaza and streetscape to the city block. 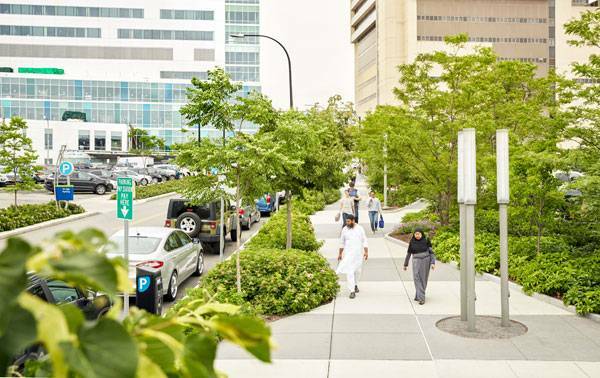 Buffalo Niagara Medical Center is a compact urban design example even some other campuses may modify and repeat its concept and ideas to refresh! 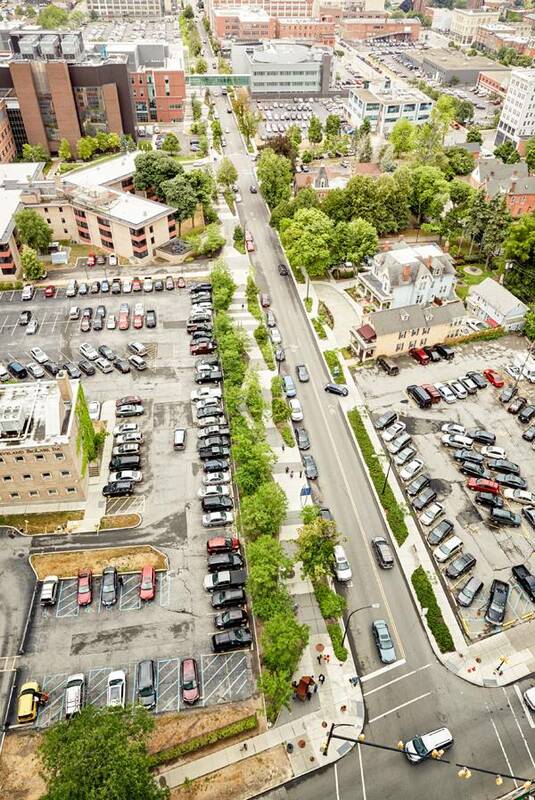 What other urban design projects can you name that are similar to this Buffalo project?